It’s faster, easier and safer to pay by PayPal, which has over 100 million customers and is widely accepted by global brands such as Dell and Starbucks. Beijing Layover Tour also take it a worry-free payment method for our clients. Please click on the “buy now” button below, if you have a PayPal account, please log in your account to pay. If you don’t have an account on PayPal, you can still pay it as a Guest by providing your credit card information. 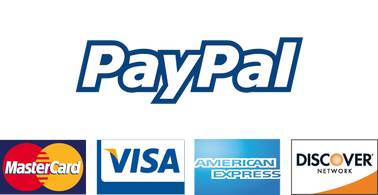 PayPal accepts all major credit cards and debit cards.